djkardkreations: Jingle All The Way! I'm taking a few days off for the Thanksgiving holiday so I'm here now to share a couple of creations before the challenges close. As prolly most of you know, Tracey McNeely holds an annual "25 Days of Christmas Tags" event at her fantastic blog, In My Creative Opinion. Tons of stampers and crafters (even whole design teams) join in and there are lots of wonderful companies sponsoring prizes for the partipants! I'm pickled tink to be finally joining in with a Christmas tag today. Since I have more than enough schtuff and such on Mt. NBUS, I'm entering just for fun to support my friend before the festagities are over for another year. I ordered my outfit in August to prepare for Tracey's 2014 tag event. AUGUST! The leotard and the jumper finally arrived two weeks ago, but the belt and one elf shoe were missing. For heaven's sake! I spent I don't know how many hours on the phone getting to the bottom of it before I traced it to a feed store in Franklin, South Potato. You can imagine my relief when the Fed Ex box arrived with the missing pieces! I immediately got dressed and the Mister agreed to take my picture. Now I don't know how your mister is with a camera, but I've watched spiders build entire villages waiting for mine to get ready to press the button. I know it looks like I'm being a tart and asking him if he wants to play some reindeer games, but just between you and me, that's NOT what I'm saying! God bless him. And did you notice all the jingle bells adorning my rockin' bod? Three pairs of them! Well, I made so much noise stomping back into the house that every stray cat in the neighborhood is now in our backyard thinking they heard a dinner bell! The NBUS bookmark/tag is "Stitched Bookmark Collection Die" from Papertrey Ink. The image and sediment are also NBUS, made by Art Impressions. So there you have it, Tracey! That's how much I love you! Your event is always fun and it's a delight watching the entire community support you! I'm also linking to Tag You're It! and with the "Christmas Elves" challenge happening at Holly Jolly Christmas Challenge. The wavy garlands are cut from snippets of glitter paper using a NBUS Memory Box die called "Jingle Bell Border." The sediment is also NBUS from the Avery Elle set "Winter Wreath." Everything in this post is NBUS and this one is QACAS, to boot! Less Is More challenge. (Next week will be week #200!) The theme this week is "Jingle All The Way!" Fusion Card Challenge, where I chose the silver and red photo inspiration. The Cutting Edge Challenge. I'm sad to read that this will be the last challenge for them! Thank you, Jackie, and all the Design Team members and Guest Designers for your hard work! Pixie's Snippets Playground, where all you have to do is use scraps on your card. This is my favorite holiday meal! Old-fashioned oven-roasted turkey (yes, in spite of my work history!) 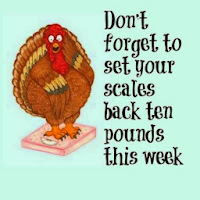 with stuffing, mashed potatoes, gravy, and lots of yummy side dishes. We are supposed to have a beautiful warm day here tomorrow, which will add to the joy of having friends and family gather in this house as we've done every year since 1977! Best of all, afterwards everyone will go home except for the twins! We get to play with them for a couple more days and I'm looking forward to them helping me decorate the Christmas tree! I wish all my American friends and their families a very Happy Thanksgiving! And I want to take this opportunity to thank ALL of you again for your continued support and encouragement, no matter where you are in the world. You keep me keepin' on and I count each of you among my many blessings! Now I feel WAY under-dressed for the occasion!!! ;) Fabulous fun cards Darnell! Your tag made me giggle so much (I must say the suit looks far better on you than it would on me! ;-) ), and your other card is just gorgeous. Love it. Lovely card Darnell and your fun tag made me smile..
Don't know what I love most: the tag itself or the story about how it came to be LOL. Had a good chuckle again this morning reading your post. Love the tag! Have a wonderful Thanksgiving Darnell! Love the tag and card. I love them both, Darnell! Your tag and the story told made me laugh! You are so funny and awesome! Lots of love.. I hope you have a wonderful and blessed Thanksgiving! Your tag is a hoot! The card is so beautiful! Enjoy your warm beautiful weather. We have rain, rain, and more rain that will turn into snow. For us I think it's going to be sleet. Yuck either way. HA!!! What a way to start off the holiday season. I don't know what's more fun, this kooky image or your description! You always bring a smile to my face!! Enjoy those twins of yours and have a VERY happy and blessed Thanksgiving!! Oh Darnell, I LOVE your outfit. It was worth the wait! So fabulous even if the Mister did take too long to take the picture. Your Thanksgiving sounds perfect in my book. We'll have 36 here tomorrow! Need to get cleaning/cooking but blog surfing is much more fun! Oh my, Darnell, visiting your blog is far better than having any 'Try to make you feel better' tonic!!!!! What a lovely post, again, and I do love your hilarious tag!!!! I do love your hairdo!!!! And shame for the poor cats thinking it's dinner time and then arriving at an empty bowl!!!! So glad the people in South Potato could have your ready in time for the photo shoot!!!! Your tag is so funny. You would be scared to say no!! OMGoodness, this is a riot, Darnell! You made me chuckle again today! That tag is hilarious! Your jingle bells are cute too! Thank you for the laugh and I hope you enjoy your holiday festivities! Hi Darnell ...... just had a good old giggle at your post, love your Christmas tag!!! Fabulous jingle bell card for Less is More too. Fabulous Darnell, love the tag, such fun. FAb post Darnell... I need some earrings like yours, I'd love to go around a-jingling! Your card is wonderful, the rows of jingle bells look amazing twinkling away there! It sounds like hubby really jingled your bells while trying to take the picture! The outfit is great for Christmas but somehow I never pictured you a leotard person! I think South Potato is more interested in feed than speed. 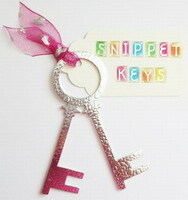 It is a cute tag and I love the sparkly bell card too. Have a wonderful Thanksgiving with your family and how nice the twins get to stay and visit for a while. The jingle bell card is so fun but the other one made me spit coffee across the room! Too funny! I love it! Enjoy your Thanksgiving and show us some pictures of the twins! Love the jingle bell garlands! So pretty cut from the sparkly paper! The sediment font is incredible - definitely a 'must have'! Fab card and tag and more fabulous story to go along. It is a pleasure to visit your blog. Thank you. Well, jingle my bells! This bookmark would entice one to open the book just for a laugh! And the rows of jingle bells make a perfect QACAS! Enjoy your family. I consider you one of my blessings too. You tag is adorable - LOVE it! What stamp is that? I NEED one!! You are such a riot, Darnell! And that rockin' bod of yours is just fabulous! 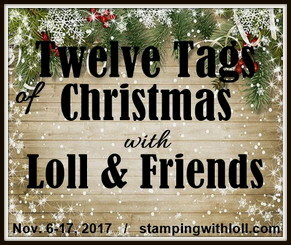 I LOVE your tag, and I can think of about 10 dear friends who would love to receive something like it, too! 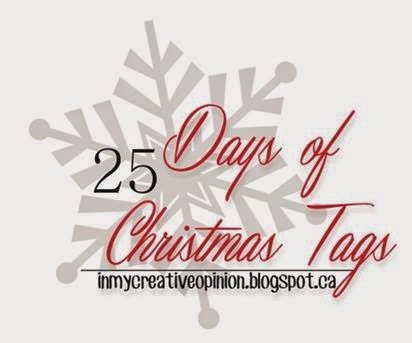 Tracey puts so much work into her 'Christmas Tag Series', and I'm sure she is going to appreciate your efforts to play along! I also love your CAS card! 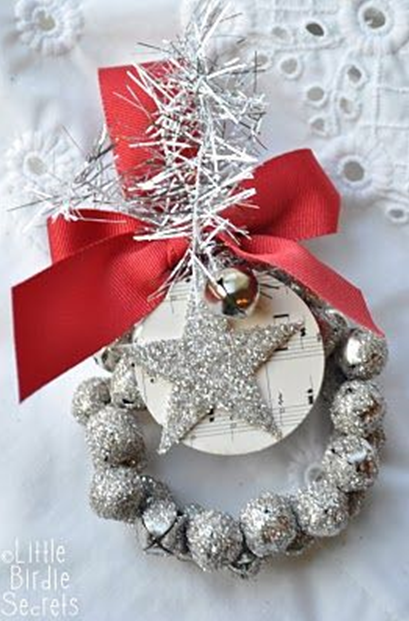 So much beautiful sparkle on those bells, and I love how you placed them on an angle! OMGoodness! We must be twins!! Love the tag Darnell - and the card is just beautiful. Hope you and your family have a great Thanksgiving. Glad I read the post properly and the bells are meant to be wavy, thought that you hadn't quite recovered from the Reindeer games! Well, you and the hamster are blessings to us, too. LAUGHED til I cried over the tag...& I'm still giggling. The jingle card is right up my dark alley, as well. Hope you eat til you POP & have a stellar Thanksgiving.. Happy Thanksgiving Darnell - and thank you so much for bringing such fun and laughter to our day! 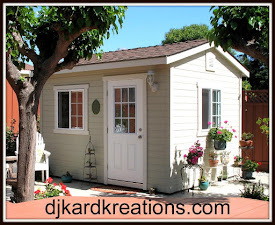 My Mister comes in to share your posts, they are such a hoot! Love your tag and the hilarious story you gave of the trials of bringing it to completion - you are a dedicated stamper, no doubt about you! Thanks so much for your kind words... and for joining as a follower. Your support and friendship this past year have been much appreciated. I love clean and simple cards. Sometimes I think it is harder to make a clean and simple card than it is to over decorate! Anytime you want to play some reindeer games just let me know!!! will bring the snow. haha I loved reading about you tag and how it came about. ;) Too funny! Your card is super. Love those jingle bells!!! Have a Blessed Thanksgiving! Hugs!!! Hahaha!! You are too funny!! I LOVE that image-so fun. The jingle bell garland card is so pretty. I love the shiny papers you used. Fabulous creations. Have a Happy Thanksgiving!! You always make me smile with your hilarious stories and ways with words. And, yes, your rockin' bod is adorned to perfection and looks so cool on that fantastic tag! I am sure someone will want to play with you. LOL And, love that beautiful card as well. Thanks for sharing and enjoy your Thanksgiving time off! ...and you are a blessing to all of us in blogland. I am so grateful to know you. Happy Thanksgiving! Love that picture Mister took of you! And the sparkly jingle bells card! Once again you crack me up!!! I bet Mister really had to contain himself to get your photo!!! Love your pretty jingle bell card ! You totally rocked the outfit and the tag, Darnell! Love the bells and antlers.....always a good look :) Fab post! I also love the CAS glittery bells card, perfect for LIM! You tag is great and your story too! You always make me laugh! Happy thanksgiving Darnell and thank you for a beautiful and sparkly bell card. That's a fabulous string or 3 of bells. Love it. I'd say you showed up with bells on. ;-) Love the image and the story behind the tag. It's you, Darnell. Those glittery jingle bells are a great CAS card and perfect for the challenges. Oops, forgot to say "Happy Thanksgiving" to you and yours. Enjoy the day! Can you see the big smile on my face? Great story, Happy Thanksgiving to you and your family! Loving the jingle bells card - perfick! Hope you're having a lovely time right now! Dear Darnell, you have made such a beautiful card and tag! :-) Love them both. And I have to thank you for your writing. It made me smiling. :-) It is always a pleasure visiting your blog. Thank you for visiting me. I've been thinking about you; must have had some of the vibes in the air! Your tag looks great and I must say, YOU look quite sassy! I hope your keeping that outfit for your Holiday Card photo!! You look amazing although a little brassed off. Maybe it was all the waiting for the photo to be taken.....Brilliant tag and I'm sure Tracey will love it. I've really enjoyed her 25 days and I'm sad its over. Will have to go back over all the posts to remind myself of all the inspiration!! Hope your having a very indulgent Thanksgiving and enjoy the boys!! I love your Jingle Bell card Darnell, a perfect CAS design. You gave me such a smile this morning! Cute cute tag and as always.. your writing just make me truly.. laugh out loud. Your tag is fabulous, so fun, and your CAS card is beautiful,love the glittering embossing! Hello Darnell :-D Tag and card are beautiful :-D Love the colors on them. See you went with all the bells and whistles on your LIM card then! Hi Darnell! Hope you had a lovely Thanksgiving with the Mister - I just love your wonderful holiday outfit - you look absolutely marvelous on that tag!! and your sparkly ornament card is so festive! Bwahahaha! That tag is just too funny! And your card is lovely! Darnell I love your new outfit, so flattering. I hope you had and are still having a lovely Thanksgiving with all your family, friends and loved ones surrounding you both this year! I love, love, love that jingle bell die - it's stunning and it will have to go on the wish list with so much other crafty stuff! Perfect card for this time of year. Love the tag too! You always make me laugh, Darnell! Hope you're having a wonderful time with the twinks! Love your jingle bells! Wonderful makes as always and I had to smile at your "set the scales back" sentiment. LOL!! Wow - what a stylish outfit Darnell and those jingle bells are something else. I bet Kevin took so long taking the picture because he couldn't take his eyes off your beauty! I guess the South Potato's loss is still upsetting them. Well, it took me a while to get back over for my Darnell-spate of laughter, but it was most worth the wait! Oh I like your tart tag!!! That eye surgery looks very successful, and I love the cat eye glasses with your outfit too. Classy striped sox and those elf shoes, well, just gotta get adorable, and loved the photo me some of that! This is session story too. The jingle bells card is likewise cute as can be-especially with the trio slanted as you placed them. 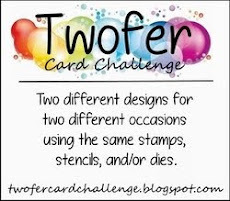 Love that die (plan to use it if it will allow itself to be found, on a card tomorrow, so thnx for that idea!) As always, I leave here, with a smile and a big enjoyment of some wonderful artistry at work. Large hugs & TFS. I love your tag! Made me laugh!!! I love your jingle bells, too! Such a pretty CAS card! I hope you and your family had a wonderful Thanksgiving!! Darnell, love your card and your tag! Hoping you enjoyed your holiday, and all those I am sure they were yummy side dishes! Your tag made me giggle Darnell. Of course your witty repartee was perfect. Love the holiday bells, very festive. Your CAS bell card is lovely! Thanks for joining us at The Cutting Edge Challenge! And your tag image is hysterical! (as was the story). Aren't these all so fun?! I am totally loving the jingle bell garland card! Simply stunning! You Jingle bell rocked this challenge Darnell!!!!! Love your tag too, and so much fun as always so see you join us!!! Thanks so much for joining us at FUSION, I sure hope that you join us again! It is a pleasure to stop by and see your creativity!!! Girl, you just slay me that with tag...I adore your sense of humour! Your tag made me laugh Darnell! Thanks for playing along with the TYI challenge. I seem to have missed a few of your posts so I apologise for all the commenting in one go! All the DT I am on have had so many entries it has been full on commeting and along the way I missed you! This tag picture is hilarious and I think it is modelled on me really!! My hubby is so slow at taking photos I would be screaming at him by now!! I am still laughing about this stinking cute tag! I know someone who would love this tag. I am sorry it took me so long to comment, getting old. Love the bell card too I have that die just need some free time to use it. Thanks for joining us at Tag You’re It! too darn cute...really stinkin' cute my sweet friend. Woo hoo, you're a winner at Less is More! Congratulations Darnell, and I love your sparkly jingle bells! Your tag is a scream! Reindeer games indeed! I love, love, love the jingle garland card. So sparkly, festive and simple. Congrats on your LIM win. Hip hip hooray! Thanks for stopping by!!!! Congrats on you LIM = Huge Hooray !!!!!!!!!!!! Big congrats on your LIM win this week Darnell - love those glittery jingle bells! Glad I popped by to see your tag too - made me chuckle! !